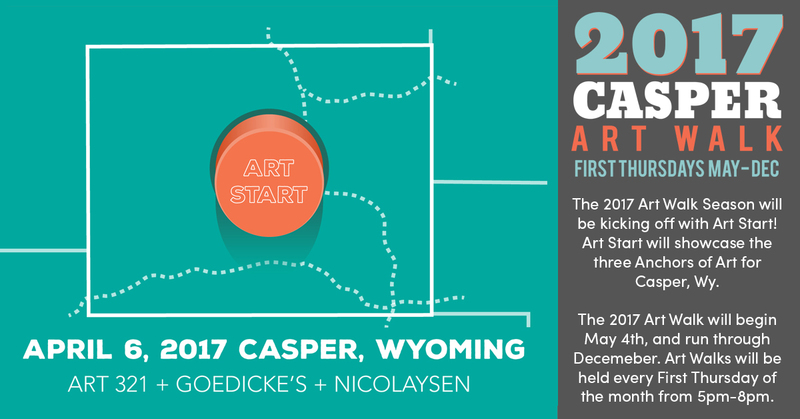 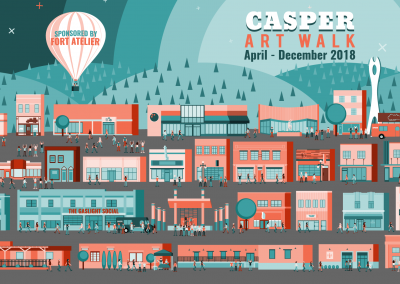 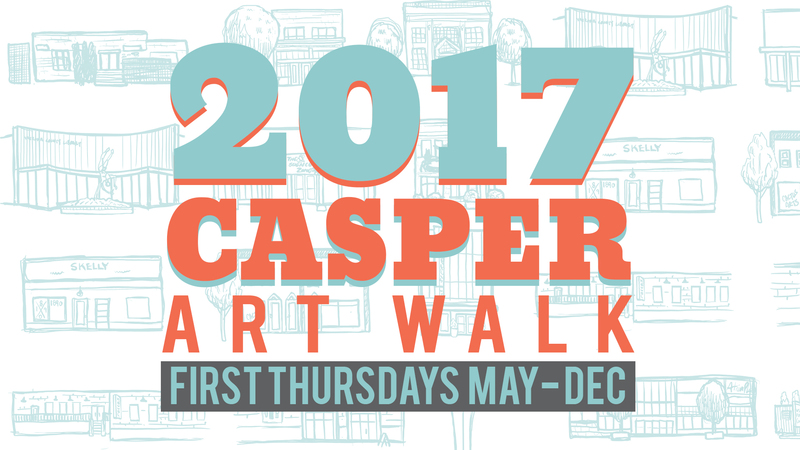 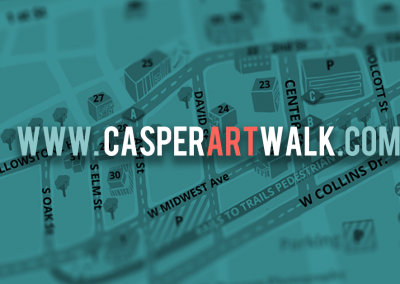 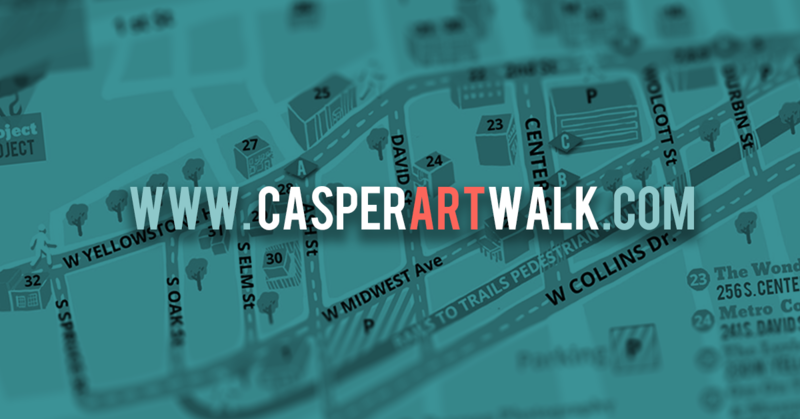 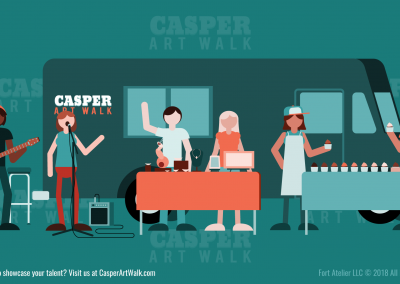 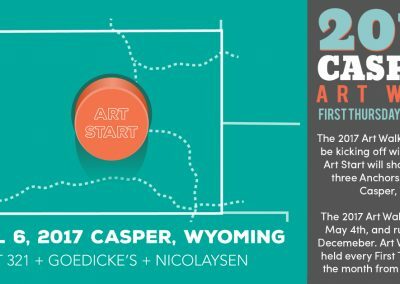 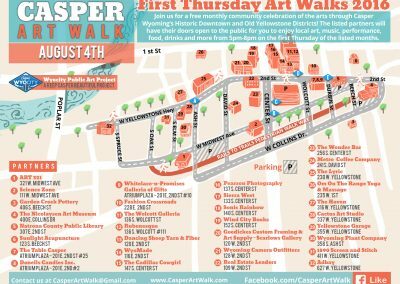 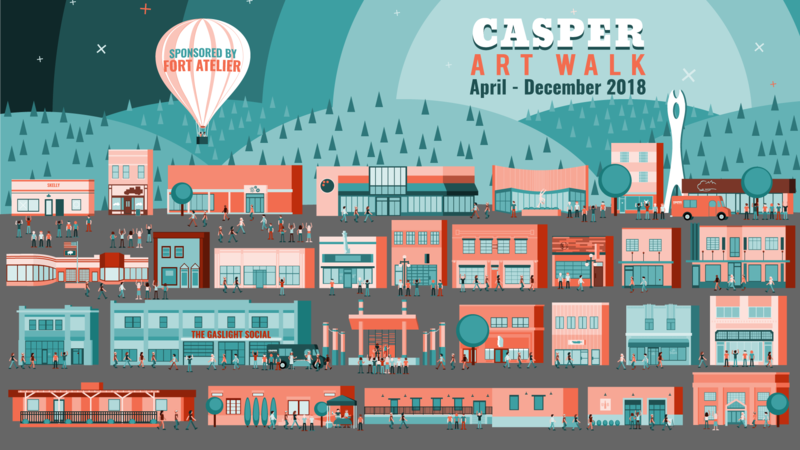 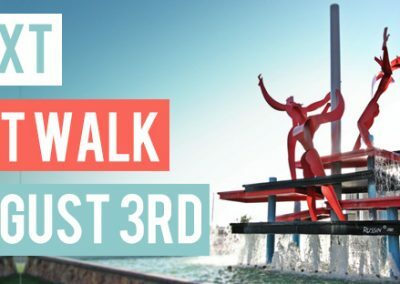 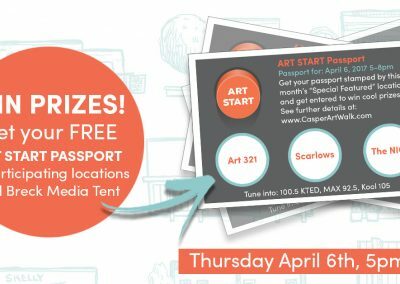 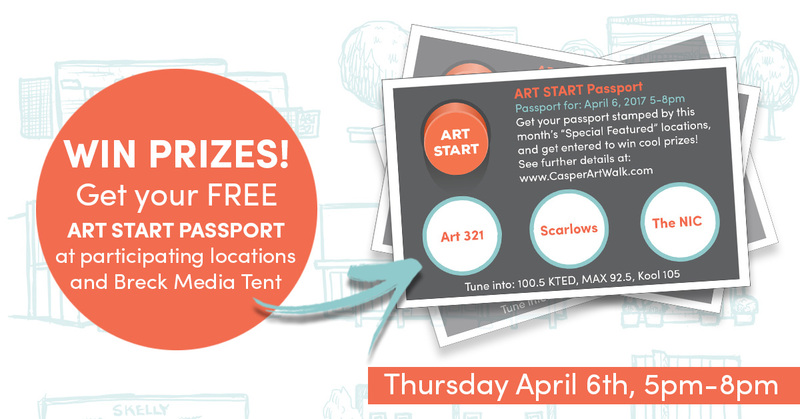 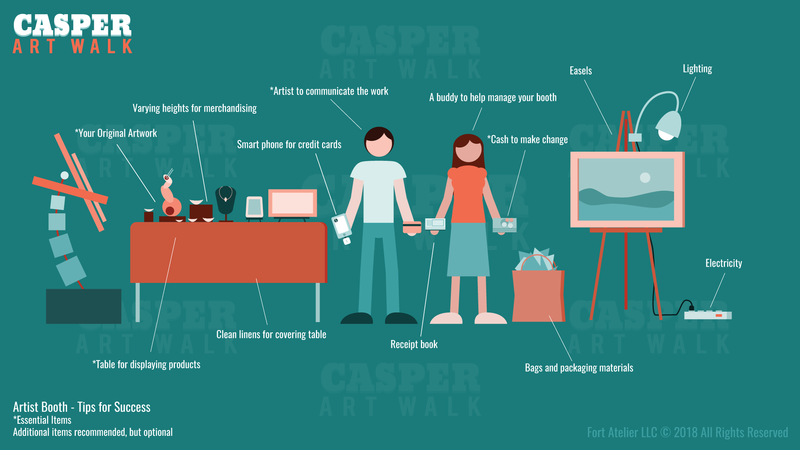 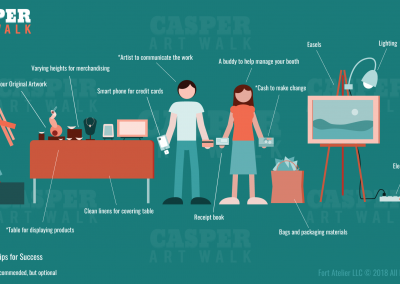 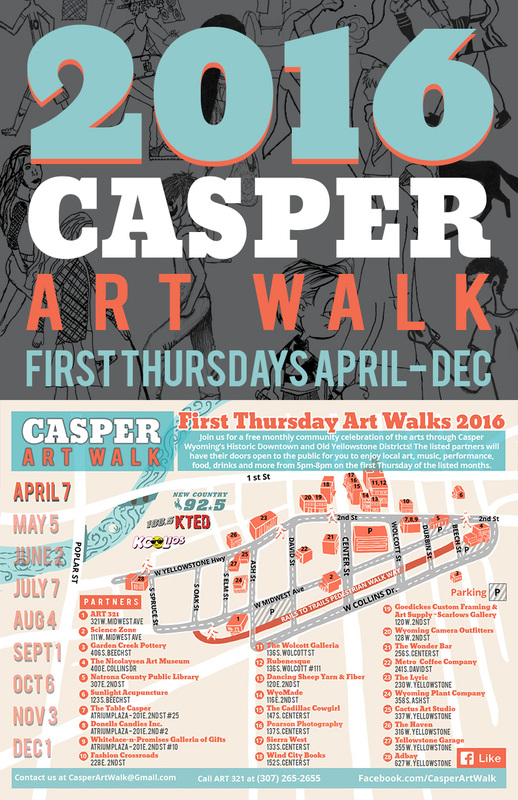 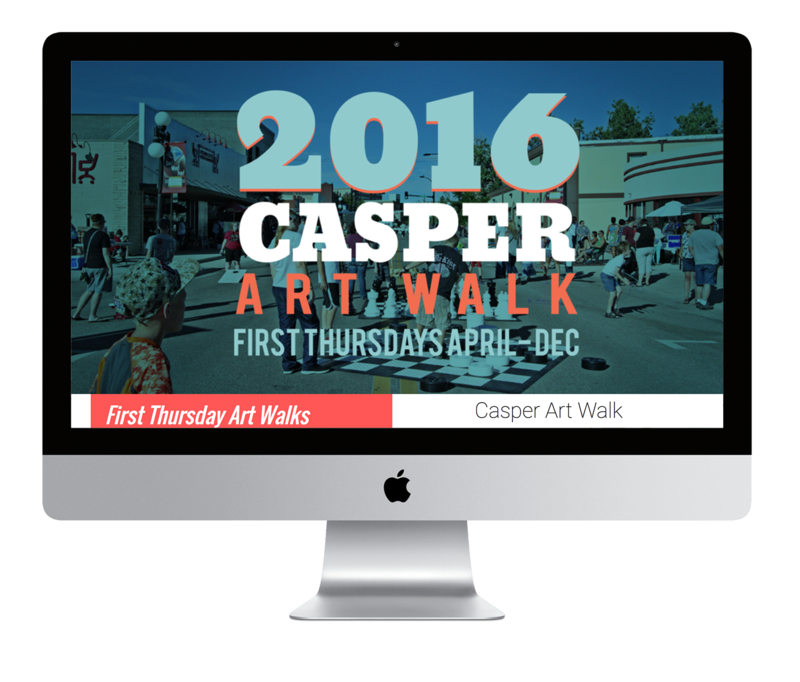 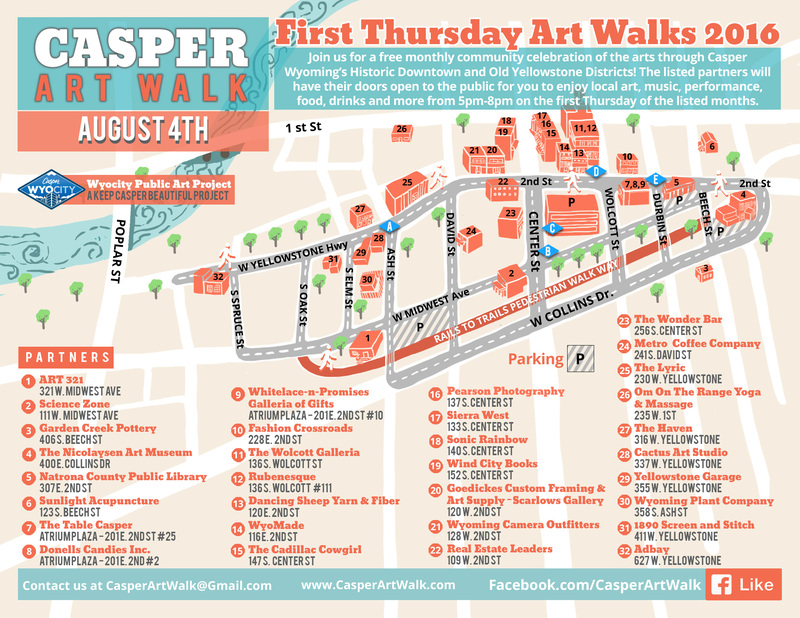 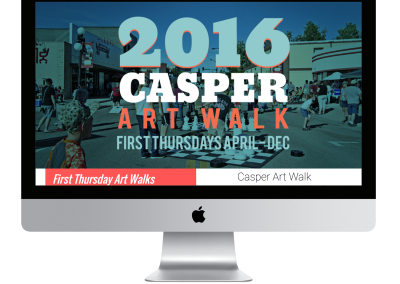 The Casper Art Walk is a community collaboration that is organized and managed by Fort Atelier, Art 321, Goedickes Custom Framing & Art Supply. 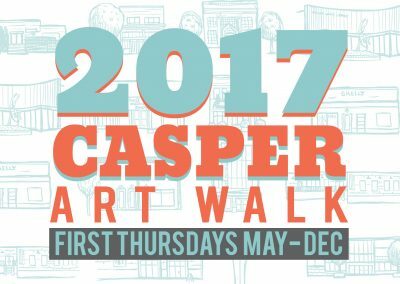 The Casper Art Walk takes place in Historic Downtown Casper, Wyoming and the Old Yellowstone District. 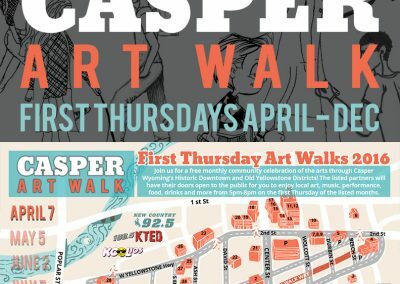 From Spring through December businesses open for the first Thursday of each month to celebrate and enjoy in the Arts! 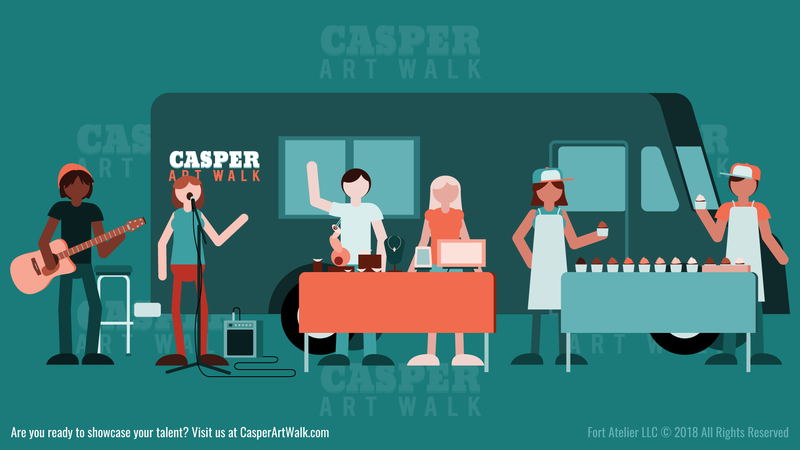 Fort Atelier’s responsibilities include the visual branding, management, and digital marketing of the CasperArtWalk.com website and Facebook page.